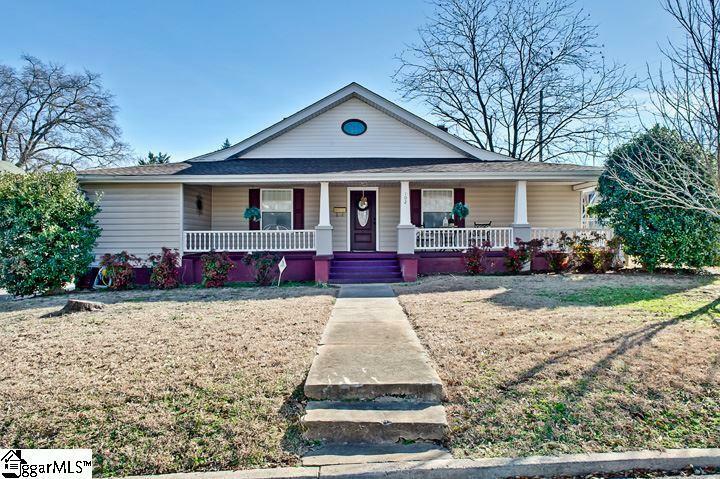 Beautiful craftsman style home in downtown Greer has just become available! This floor plan offers character from a well built home from a time past. The front porch is wide and deep with room to make it a Southern Living showcase of your choosing. 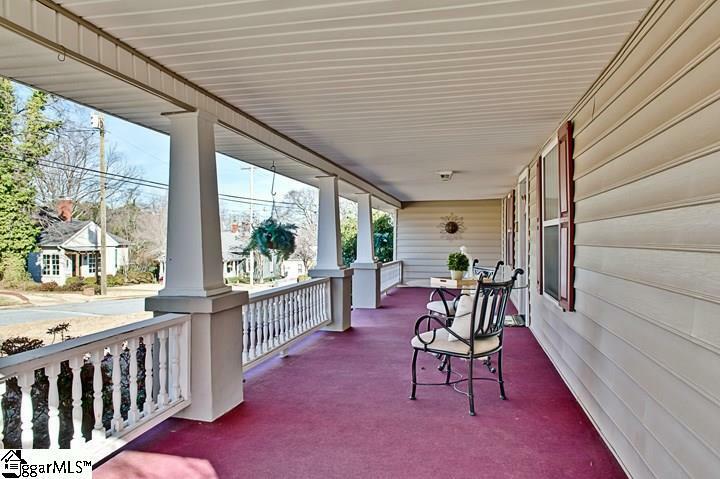 Who could resist sitting on this porch and sipping sweet southern tea?! 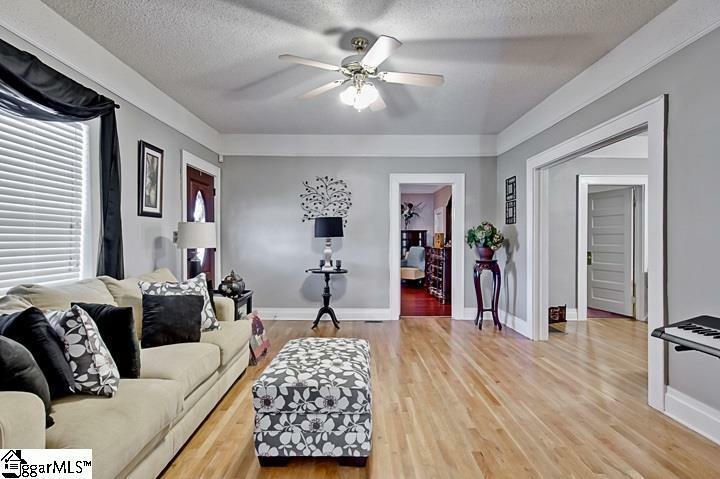 Once inside, youll love the character of the sitting room with beautiful floors that lead into the living room with gas log fireplace as a showcase for the home. 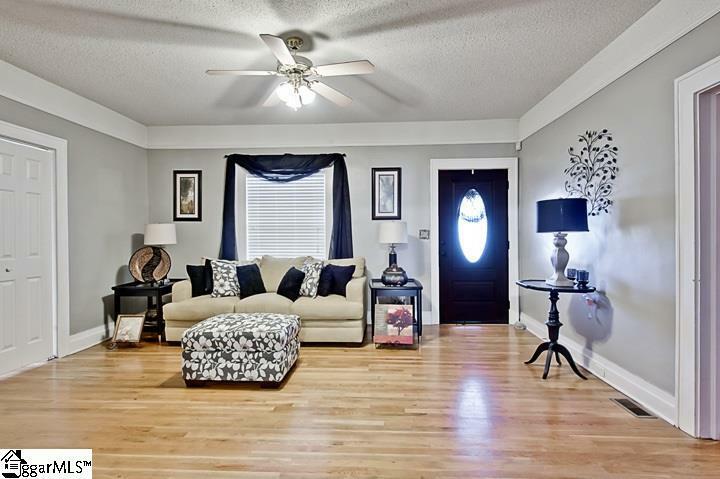 Three bedrooms and 2 full baths, as well as the sunroom and laundry room. The kitchen offers a wide space with lots of counter space, and beautiful custom cabinets. The master bedroom is spacious with its own full bath and walk in closet. The backyard is fenced in with an outbuilding that will stay. This home sits on the corner of Hilton Street and Fairview Street with great access to all that is happening in downtown Greer or ease of access to Wade Hampton.